On Monday we’ll see Rebecca, our new Graphic Designer intern’ joining the Chocolate Ltd team, who will be providing a valuable helping hand. To become someone’s mentor. I always felt like mentor was able to be used by those with great influence on others’ life or wise (world) leaders. 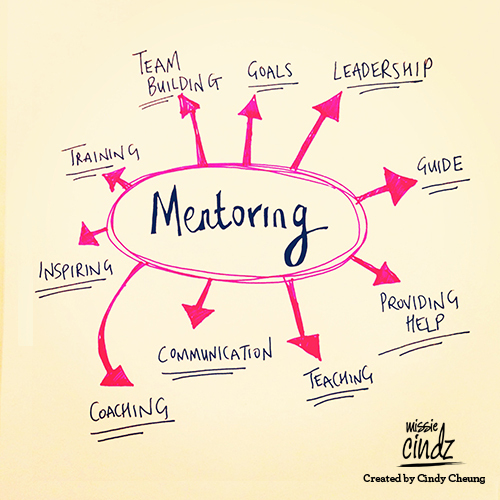 However, I quietly thought that a mentor was all the people who have given me guidance, useful advice and strength, in other words – friends, classmates, co-workers and all people collaborating with me around me. I often think about how I w/could be helpful. Being a Graphic Designer, it’s important to me to do more than ‘just design‘ and creating adverts or a delicious looking piece of packaging – the thought of, inspiring growth and supporting (new) young emerging designers is something that’s important – to offer help in shaping the future’s designers and making a difference in their professional careers can be something they’ll remember forever! I have never mentored anyone before, I’m a little nervous because I hope to provide good mentorship and haven’t done this before (any new task/challenge is daunting at first, right?) but, I am also looking forward to sharing my design knowledge and experiences which valuable mentors had shown me in the past with Rebecca. I have been supported and taught by so many wonderful people over the years, and I feel it’s only right to do what I can to assist others. This will be a great opportunity for Rebecca to showcase her ideas and design skills too, and if there is a way I am able to give a helping hand, I’ll be happy to.